Take flight to Neverland with this sumptuously illustrated, finely crafted keepsake edition of Peter Pan’s, Wendy’s, and of course, Tinkerbell’s adventure that inspired the beloved Disney film and countless Captain Hook movies. And so begins the story of one of the most cherished characters in children’s literature, Peter Pan. In J.M. Barrie’s classic unabridged tale, the lives of Wendy, John, and Michael Darling change forever the night that Peter Pan and Tinkerbell the fairy fly into the Darling home looking for Peter’s shadow. Once he teaches Wendy, John, and Michael how to fly with him back to the Neverland, imaginations and adventures unfurl. 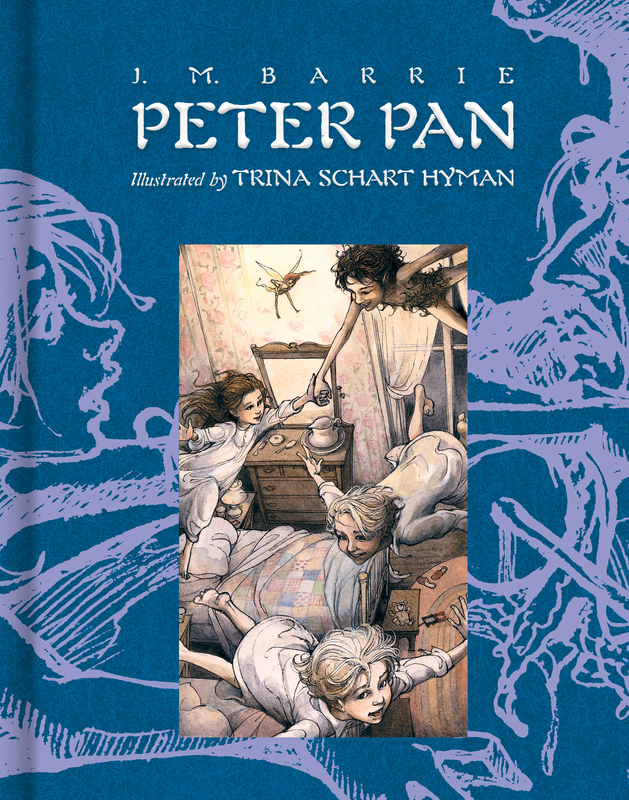 This collectible edition includes a soft-touch cover, gold foiling, and dreamy artwork from Caldecott winner Trina Schart Hyman, whose illustrations are as mischievous, ethereal, and playful as Peter Pan himself. J.M. Barrie, the son of a weaver, was born near Dundee, Scotland, in 1860. 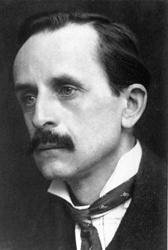 He was a journalist and novelist and began writing for the stage in 1892. Peter Pan, first produced in London on December 27, 1904, was an immediate success. The story of Peter Pan first appeared in book form (titled Peter and Wendy, and later Peter Pan and Wendy) in 1911. Barrie died in 1937, bequeathing the copyright of Peter Pan to the Great Ormond Street Hospital in London, a hospital for children. Trina Schart Hyman (April 8, 1939–November 19, 2004) was an American illustrator of more than 150 children’s books. She won the Caldecott Medal for Saint George and the Dragon and lived in Sweden.